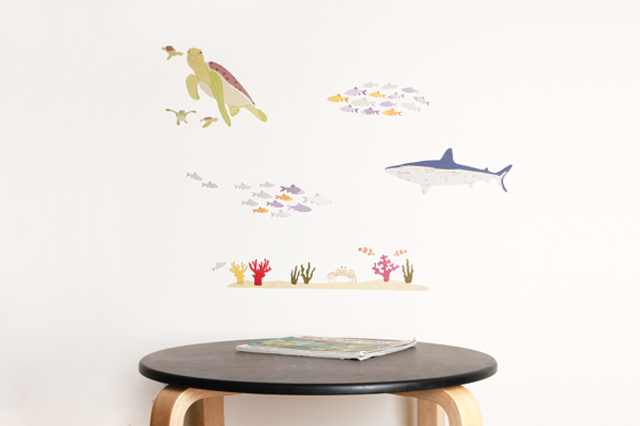 Create a truly pretty salt water scene with these lovely creatures. 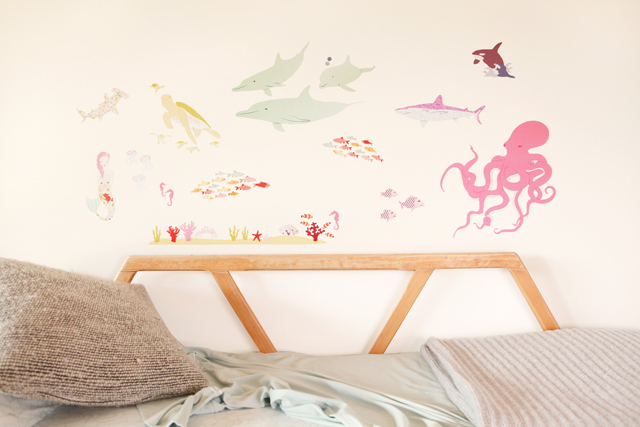 No doubt gorgeous tales of pretty mermaids and a pink octopus who helps save the dolphins will flow as they rest their heads to sleep. What better way to teach our kids the importance of the ocean. Ocean scenes just don't get anymore beautiful, unless its the real thing. 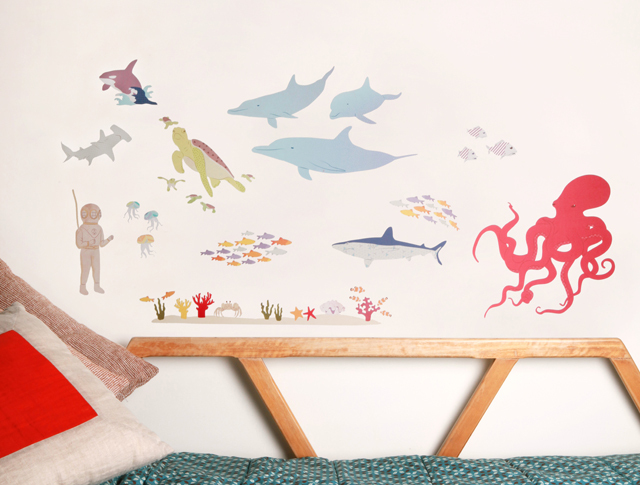 Ok so maybe we are a little obsessed with giant octopus and sharks, but then again what little child isn't. Tales of the high seas just wouldn't be the same without these notorious characters. The colours and details of this plentiful scene are incredible. Although this is not just for boys, we still can't help but feel a little excited that the little men of our lives haven't been left out this time. Now some of you may think that mermaids aren't real, but then who are you to say whats real and whats not. A child's love can make anything real! . And what girl is not going to love this pretty mermaid and her underwater friends. 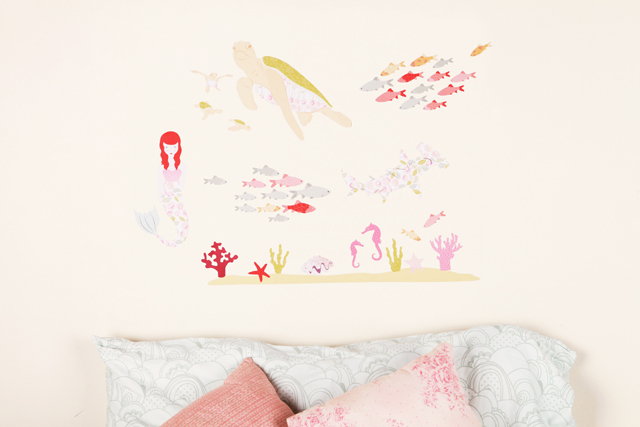 Co-ordinates perfectly with Under the Sea Girly or add some Mermaid charm to the Pirates. Perfect for a share room. If its salt water you love, but you can't see fish for the sea... then it's time to get your nautical on with Love Mae fishy tales. Help your little one create stories of an unexplored ocean bed where sharks befriend turtles in the most wonderful of settings and help teach the baby turtles about the importance of the ocean. Co-ordinates perfectly with Under the Sea Nautical and Pirate Ship. Decals is really a good attraction in cars, walls and etc. They add up beauty to where it is attached.